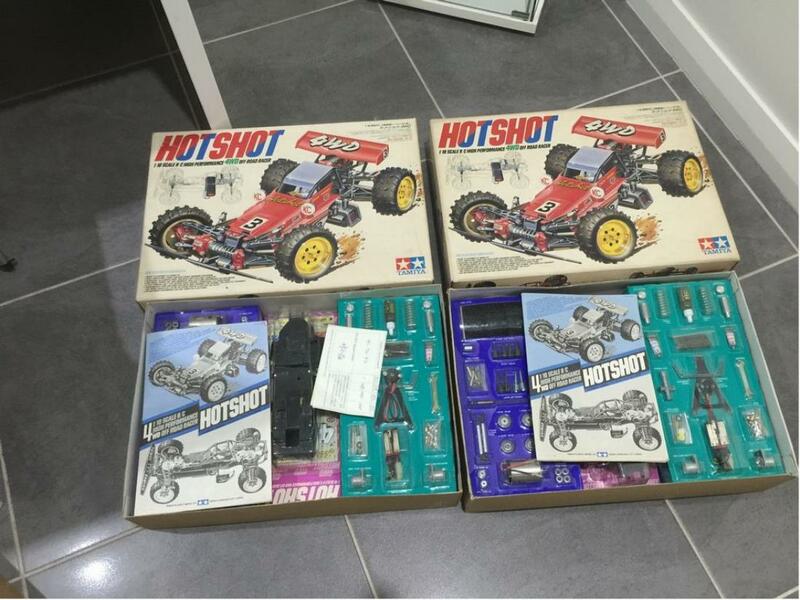 I received these 2 nib vintage hotshot from a fellow eBay member. 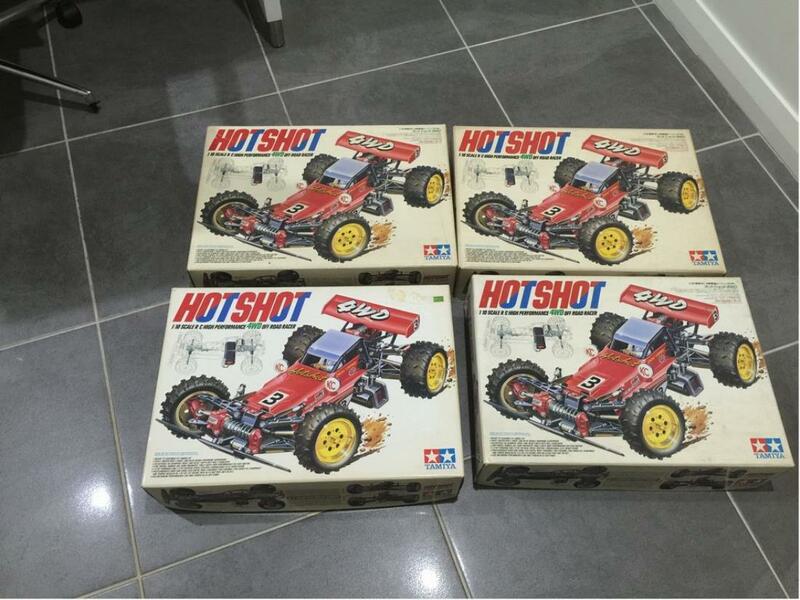 now i have 3 vintage nib hotshots and a nib mk1 hotshot. might build one in the near future. 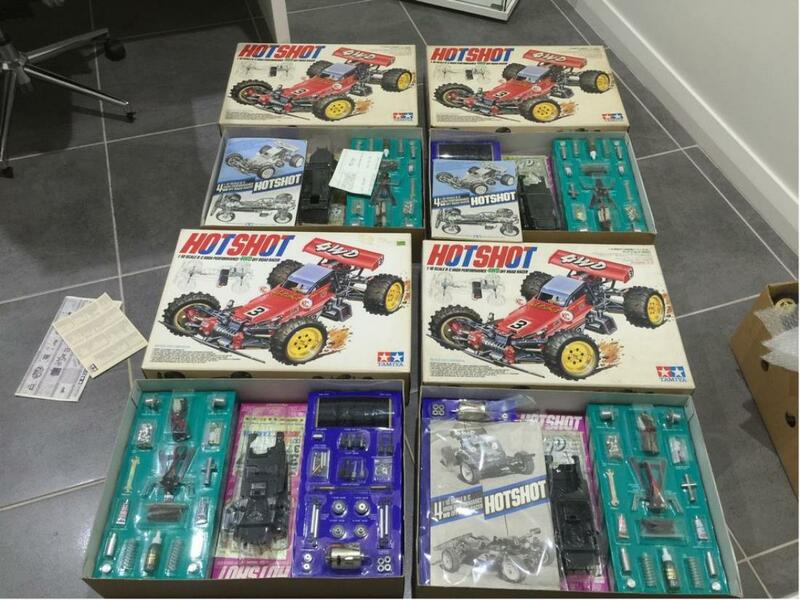 Would, nice Hotshot collection you have there. Is the Mk1 the one in the box on the bottom left where the blisters are reversed lft to right?? Is it also the box with NOTHING but what looks like a price tag in the upper right side of the box top?? Would love to see the dates on ALL your manuals, front and back. I have just made a couple more discoveries in the Mk1 and Mk2 realm, will hope to post that information soon. Oh, I forgot to say BUY A RE RE AND BUILD THAT. I think you have a Hotshot problem and the first step of recovery is to let them go LOL! Great Collection!! Awesome kits mate. You are the Hotshot king! Very envious of them. WOW, ummm that's all I got.. I'd give ANYTHING for a NIB and a MKI..? Well I didn't even know they existed NIB lol... Good work..!